So here is a good way of not wasting milk. I have a paneer roll recipe coming up, which is a good snack and a great lunch box idea for kids. 1. In a saucepan bring milk to boil. 2. Pour vinegar into boiling milk and give it few seconds to split. Keep stirring. 3. After few mins, the milk splits and the whey will turn light green. Then remove the saucepan from burner. 4. 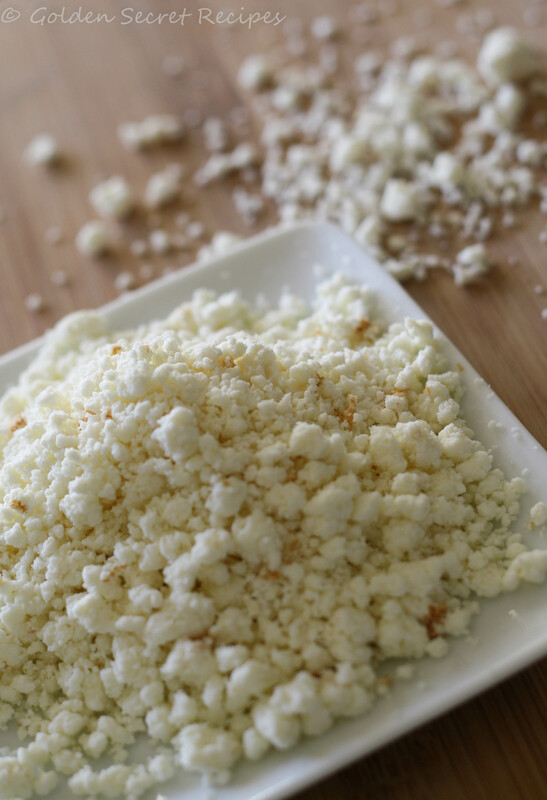 Using a strainer, strain the excess whey and collect the paneer in a cheesecloth. Tie the cheesecloth from both ends and hang it for 15-20 mins so the excess water drips off. 5. 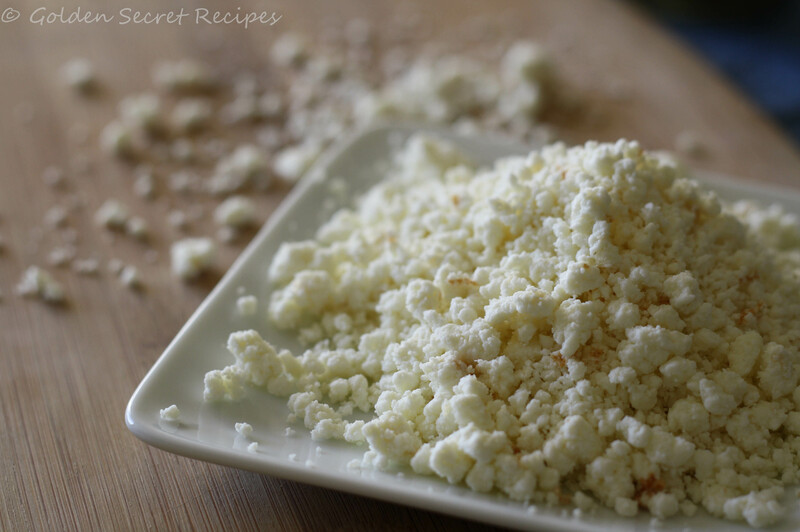 If you are using scrambled paneer for your recipe, the paneer is ready for use immediately. Just take out the paneer and crush it with your hands. 6. If not, while still wrapped in the cheesecloth, try to give a flat shape to paneer and keep a heavy flat weight on top of it. Let it rest for 30-40 mins. 7. Take the paneer from cheesecloth and slice it into desired shape. 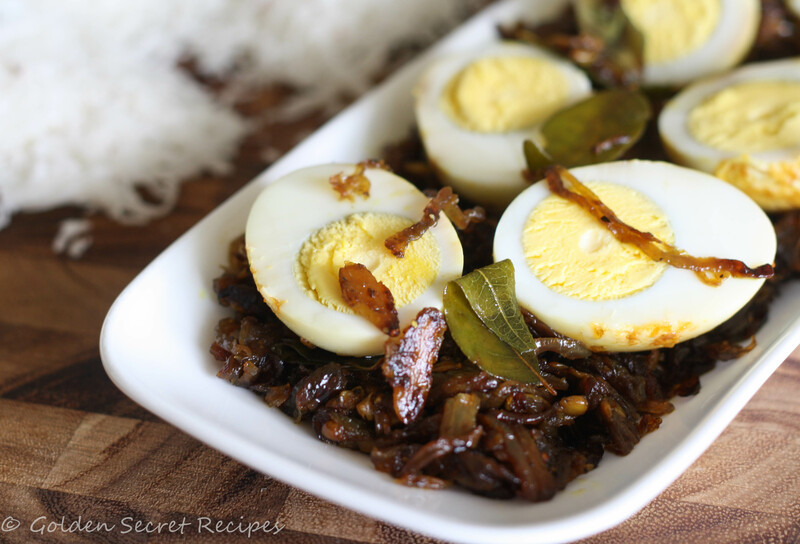 Egg roast is a very typical side dish with appam, idiyappam or kerala porotta. Lately, I realized that DD likes idiyappam a lot. 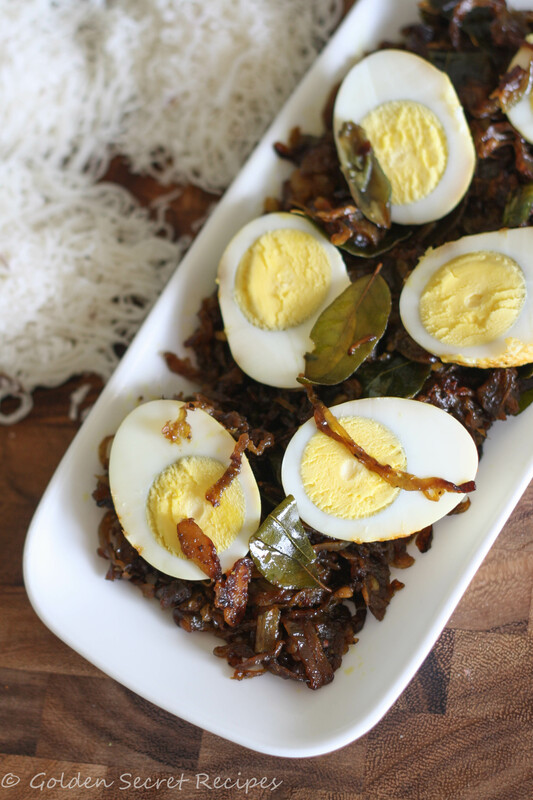 So I made idiyappam and the first combination I could think of was idiyappam and egg roast. Of course, we enjoyed this combination. I don’t make this dish often, rather this was my first time making egg roast. But I am making it again for sure. 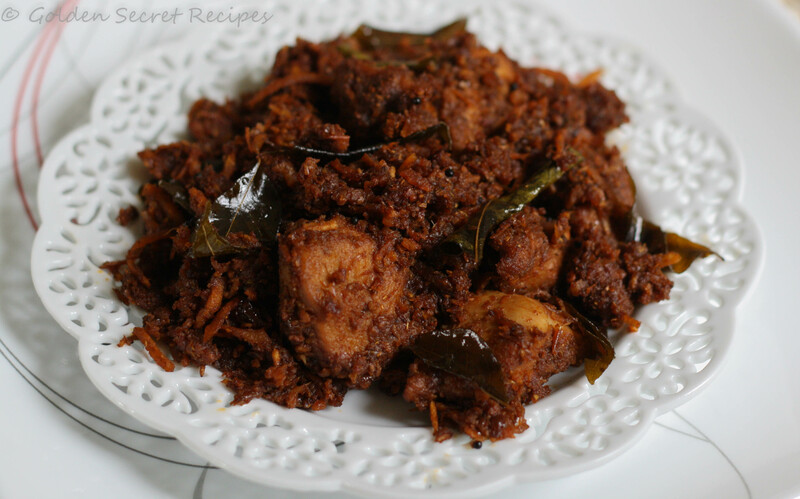 It is an easy dish to make and goes well with chappati too. 1. Boil the eggs, remove shell and keep aside. 2. Crush ginger and garlic together using pestle and mortar. 3. Heat oil in a pan and put crushed ginger ‘n garlic and curry leaves. Saute till it turns golden brown. 4. Then add onions, salt and green chillis. Saute onion and let it cook well in medium high flame. 5. Once the onions turn pink, add black pepper powder, turmeric powder and red chilli powder. 6. Saute till the spices and onions cook well. You will know that it is cooked through when the oil starts to separate and onions turn brown. 7. Add the boiled egg and saute for 2-3 mins more. Push the onions to one side of the pan such that eggs touch the pan. This will roast the eggs nicely. 8. Remove from heat and slice the egg into halves. Hariyali Murgh Tangdi is a fancy name I came up with for this chicken I made few days back 🙂 Hariyali means green, Murgh means chicken and Tangdi means leg. 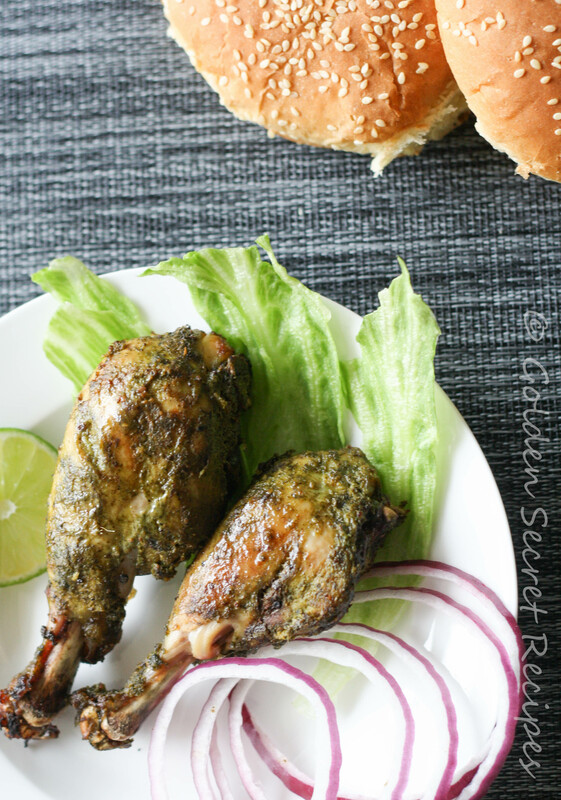 So basically this is Green Chicken Drumsticks which is marinated for 8-10 hours in yogurt and lime along with other spices, which makes this baked drumstick very tender and juicy. Another thing I like about this dish is the fresh taste it gets from the greens(mint and coriander leaves). I baked the chicken in conventional oven. Alternatively, you could fry the chicken in a pan using some oil too. 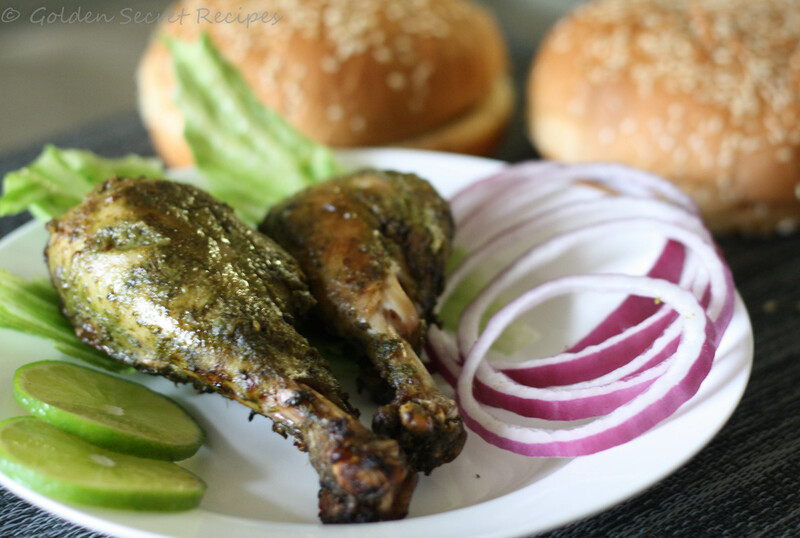 The same marinade can be used to make kababs. Instead of using drumsticks, use thigh or breast peices(basically, use boneless pieces). Skew it and bake it at 350 deg F for 35-40 mins. 1. Clean and wash the chicken drumsticks/legs. 2. Mix all the other ingredients(except oil) well and marinate the chicken for minimum 3-4 hours(I left the marinated chicken in the refrigerator overnight). 3. Preheat the oven to 400 deg F. Meanwhile, grease a baking tray. Arrange the drumsticks on the tray and brush it with some oil. 4. Bake the chicken for 30-35 mins(or till chicken turns brown). Turn over the chicken drumsticks at half time. 5. Take it out and sprinkle few drops of freshly squeezed lime before serving. Serve as an appetizer or serve with bread/dinner rolls and a side of salad. 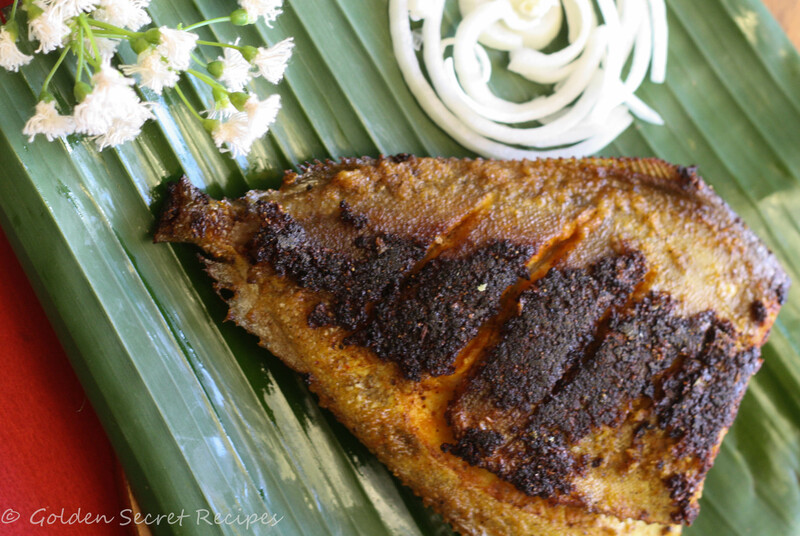 Fish fry is one of the most commonly made side dish in Kerala homes. Growing up, I wasn’t a great fan of fish. Even today, I am not. But anyday, I would prefer Fish fry to Fish curry. Coming to US and having to cook by myself made me realize that one could crave for food which they hate!!! I used to hate fish. But after I came to US, there was no one to force me to eat fish. So I was happy about not having to deal with fish anymore. But after few months or an year, I got a craving to eat Fish!! Of all the things, fish??? Well, I had to deal with my fish craving. So then, for the first time, I bought fish and made it. 2. In a mixie/grinder, grind all the ingredients listed under ‘To grind’ section, to a smooth paste. 3. Marinate the fish with red chilli powder, turmeric powder, salt and the ground mixture. Apply on both sides of the fish. 4. You can marinate the fish overnight for best results. If not, keep it atleast for an hour. 5. Heat oil in a pan. 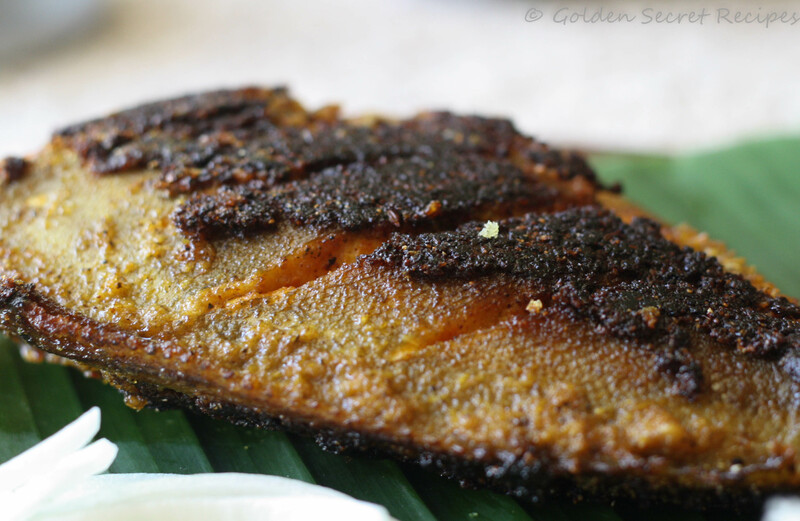 Sprinkle rava on the marinated fish. This will help the marinade to stick to the fish while frying. Fry the fish in medium high flame. 6. Fry both sides till it becomes brown and is fully cooked. Use a fork/tongs to turn the fish easily. Serve with rice or as appetizer! As part of my ‘Something New’ challenge, and this being the last of the 5 I had promised, I am posting a recipe that I owe to my best friend. She had passed on this recipe to me few days back. And I thought this is the perfect time to try it out. Raji comes from the southern part of Kerala, same place DD hails from. And I found it funny that she gave me a recipe for ‘Malabari’ Chicken Roast, considering the fact that I come from this region called ‘Malabar’!!! LOL 😀 Well, I am glad, preparation of food in each home is no more restricted to their own regions or even country. After all, food is the most ideal thing that can break the limits of boundaries and bring a touch of other cultures into our lives. 1. In a wok heat 2 tbsp oil. Add the coriander and chilli powders and sauté until the raw smell goes of. 2. Take half of the sautéed spice and marinate the chicken(cut into small pieces) with it and set aside for 15 to 20 mins. 3. Heat the remaining oil in a wok and add the mustard seeds. After they splutter, add the fenugreek seeds and fry until medium brown. 4. Add finely chopped ginger, garlic and green chilli to the oil. After the raw flavour goes away, add chopped onions, chopped shallots and half the curry leaves. Keep on medium flame and sauté the onion until they start browning slightly. 5. Add chopped tomatoes and cook till they melt and form a paste. Add the remaining sautéed coriander and chilli powder to the paste. 6. Add the turmeric powder and garam masala and sauté for about 5 minutes. 7. Now add salt and the marinated chicken. 8. Cover the wok with a lid and keep it on low heat until the chicken is properly cooked. 9. 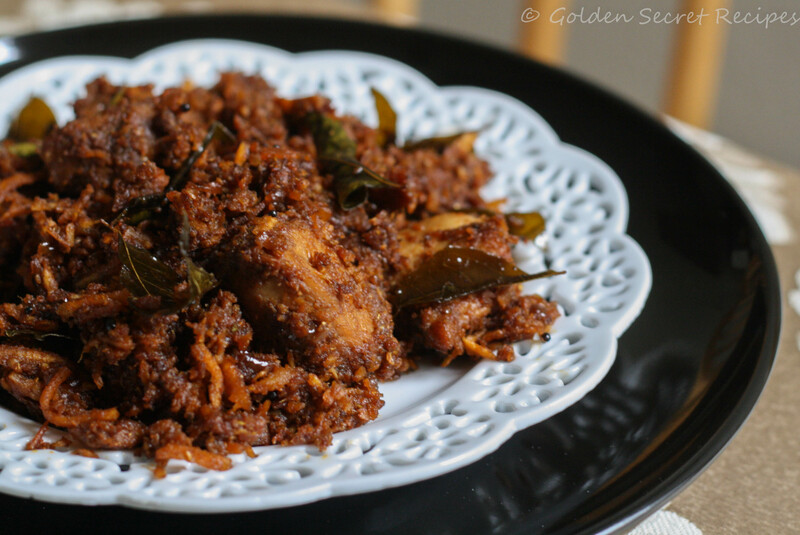 In a pan, fry the coconut and remaining curry leaves until the coconut is of a medium brown colour. 10. Add the fried coconut to the chicken and mix well. Keep this on a low heat without the lid for another 5 minutes.